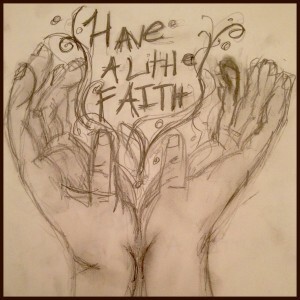 “Have a Little Faith” will be available on iTunes May 13, 2013. It was produced by Collective Soul guitarist Joel Kosche, who performed all of the instruments except acoustic guitar, which was played by Charles Besocke. The track was mixed by Shawn Grove (Collective Soul, Matchbox Twenty, Sevendust, Edwin McCain) and features cover artwork by Emma Whitmore. Be sure to pick it up May 13!